Course Website: Official Website - Visit Tumble Creek's official website by clicking on the link provided. Accolades: Ranked 7th in Washington on Golf Course Gurus' Best in State list. 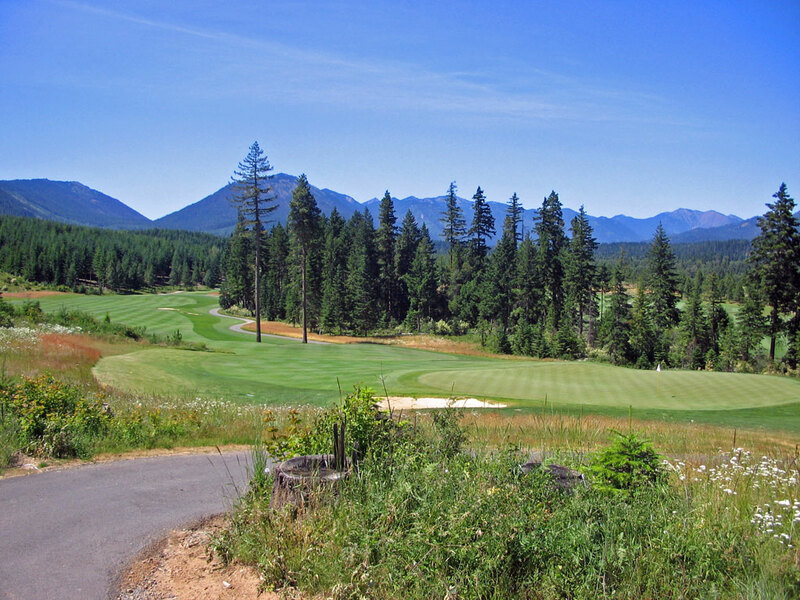 What to Expect: Tom Doak ventures out into his first design in the Pacific Northwest with his Tumble Creek offering located in the Suncadia Development about an hour east of Seattle. Typical to Renaissance Team designs, the course features wide fairways with no rough, waste areas outside the short grass, and large, quick undulated greens that present interesting pin locations. Like most Washington courses, trees surround the property but there is rarely a feeling of them encroaching the golf course due to the wide playing corridors. Speed slots are what Doak utilizes to reward accuracy on his wide fairways which can generate 30 more yards when you play it down the correct portion of the short grass. Adrenaline junkies will enjoy the back nine more than the front due to the increased elevation changes, water hazards, and risk/reward hole designs. Words such as beautiful, immaculate, and strategic likely will leave your lips when describing the scenery, conditioning, and course design at Tumble Creek. Tom Doak has risen to the elite level of course architects in the world and his efforts at Tumble Creek give you a taste why this course finds itself listed among the finest in the Evergreen State.